It has been Britain's best-selling car for a decade. But, in a sign of the times, the Ford Fiesta is set to go electric - at least a little bit. 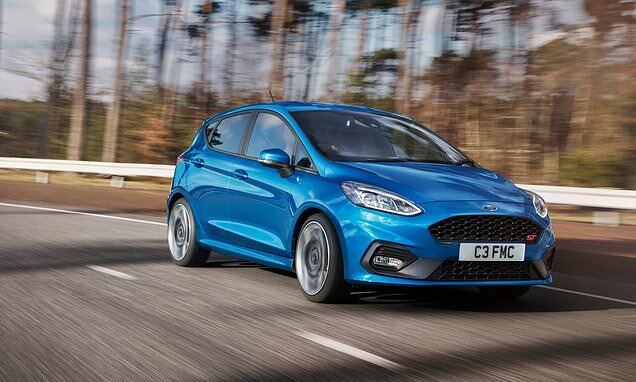 Ford yesterday announced plans to launch 'electrified' versions of both the Fiesta and the Focus - which was the fifth best-selling car in the UK. They will not be fully electric, but 'mild hybrid' cars which will cut fuel consumption but boost power, the manufacturer says. An electric motor will help to power the vehicle alongside a petrol combustion engine. A generator will recoup energy usually lost in breaking to charge a battery. This then feeds back into a motor to help power the car. But unlike with a true hybrid car - such as a Toyota Prius - the battery on the Ford Fiesta and Focus will not be able to power the engine on its own, even for short distances. This is why it has been described as a 'mild hybrid'.